The train journey was not quite what we had expected. We had paid for a compartment with a private toilet and shower and found that the carriage had been taken out of service. 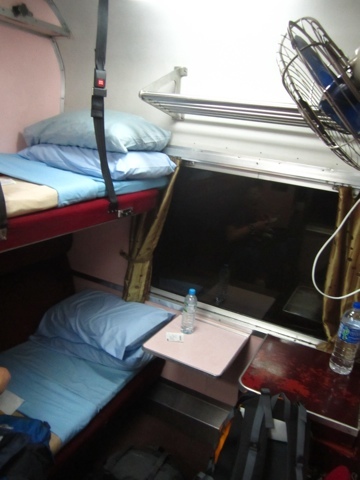 So we found ourselves, still in a sleeper cabin not quite as comfortable as expected. As ususal the air con was stuck on ‘morgue’ but the toilet was the real winner. At the end of the carriage stood a room containing what I guess was a porcelain seat, although it was hard to see through the things growing on it, with a hole opening straight out to the track. God help you if a stray stone or branch gets flicked up while you are takng are of business. 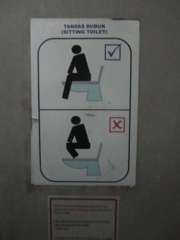 It was also made clear by a useful sign that it was a sitting toilet not one of the, what I like to call, ‘squat and poops’. 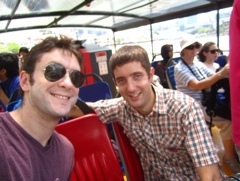 Upon arriving in singapore and us putting immigration and the refund of our ticket due to the cabin change behind us, we made our way to the city and our hostel, ‘the checkers’ , not quite the same as the British prime ministerial residence but it looked comfy. We had a shower then headed out to me my old mate Andrew Hardwick. 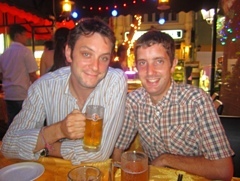 Andrew, whom I had grown up with from the age of 2 or 3, moved to Singapore to teach a year ago. He had previously been teaching in Malawi in Africa but sadly, it was a program funded by the British government and when the funding was cut, he lost his job. He certainly seems to have calved himself out a nice life out here though. He teaches reading to children in extra curricular classes after school and at the weekends. It was mine and ed’s good fortunue that he should be off work on Fridays so we had our own private tour guide. It was interesting to hear about the difference in teahing hee and teahing in africa. The eonomi differences are huge and the parents in Singapore are very pushy for their There children to do well so they end up going from school. To aftershool classes in dance, martial arts, reading, sport. 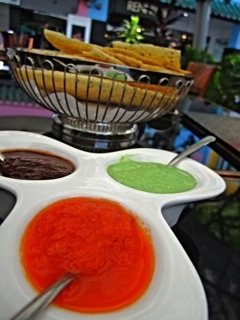 Something, I am sure was not available to the kids in Malawi. 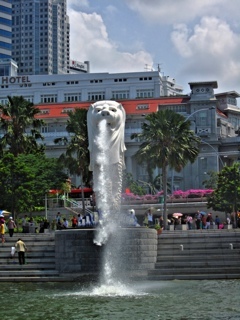 Ed and I managed to stay away long enough to do the river tour, which took us along past the giant mer lion spurting water, a symbol of Singapore, the lion for the lion city and the water for the prosperity that overseas trade has bought to the country. after this we needed a nap, having only slept for an hour or 2 on the train we were flagging fast. 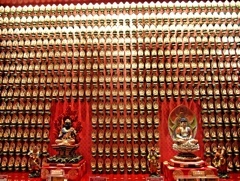 Then decided to find the ritz Carlton hotel as it houses some amaing works of art and offers free audio tours to peole wishing to view the pieces. A fruitess 2 hour walk later we had still not found it but we had got to the see the enormous floating stage where they were preparing for national day, the concert venue that looks like a Durian fruit and loads of other beautiful things. 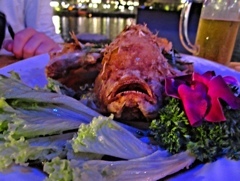 Eventually it was time for dinner and we got to hoosegow the fish we ate from the tank outside the restaurant. 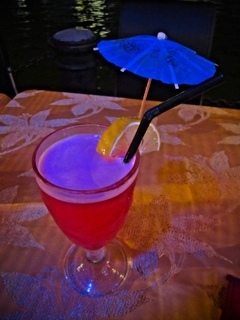 The evening was finished off with a Singapore Sling for the road then we said our goodbyes. Andrew had to work in the morning and I was having trouble forming a sentence as I was so tired so it seemed like a good time to call it a night.